With large-scale attacks, is the Taliban experiencing a resurgence? 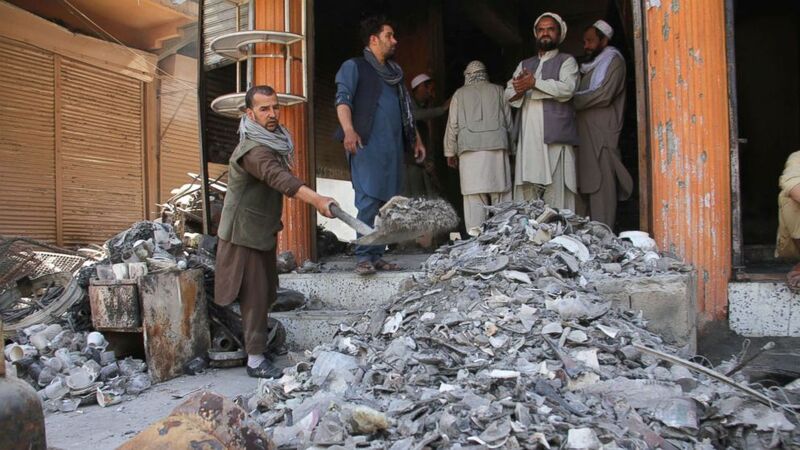 A series of high-profile Taliban attacks throughout Afghanistan this week that killed at least 200 Afghan security forces have raised questions about whether those forces can contain what appears to be a resurgent Taliban. The attacks come at a time when U.S. officials had indicated that the Trump administration’s South Asia Strategy had created progress toward peace talks to end the 17-year war in Afghanistan. The string of violence began last Friday with a highly coordinated Taliban attempt to overtake the city of Ghazni, located 75 miles south of Kabul. Additional days of heavy combat, the arrival of American military advisers and airstrikes have been needed to clear groups of Taliban fighters who’d hidden in the city’s residential neighborhoods. The violence finally appeared to have ebbed on Wednesday. Showing a high level of coordination, the Taliban was able to launch another high-profile attack in Ghazni Province. A large-scale attack in the western district of Ajristan killed an additional 50 security forces. Elsewhere in northern Afghanistan, Taliban fighters on Friday launched a deadly attack on an Afghan Army base in Faryab Province that reportedly killed more than 100. Kabul, the capital, has not been immune from the violence, though acts of violence are not always carried out by the Taliban. On Wednesday, a suicide-bomb attack in a Shiite neighborhood killed at least 25 and wounded 35. 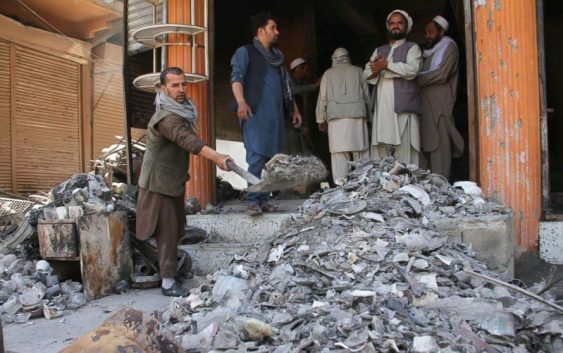 While no group claimed responsibility, it fits a pattern of attacks conducted by the ISIS affiliate in Afghanistan against the country’s Shiite minority. American military officials insist the high-profile attack in Ghazni was par for the course for the Taliban. Defense Secretary James Mattis said as much while traveling to South America this week. O’Donnell said Taliban attacks that kill civilians and destroy homes discredit the organizations claims to the contrary. 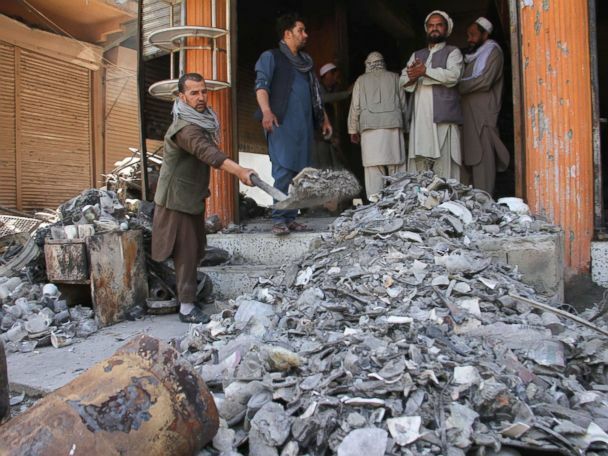 The other Taliban attacks elsewhere in Afghanistan exposed weaknesses in the tactics and security defenses used by Afghan security forces, including strikes at Afghan Army and police checkpoints such as the one Wednesday. Checkpoints checkpoints are visible reminders to local populations of an Afghan security presence. But their locations also make them vulnerable to attack, a major reason that U.S. and coalition military officers repeatedly stress to Afghan security forces that they should reduce the number of checkpoints. While some progress has been made in reducing the number, senior officials want to see further reductions. Gen. Joseph Votel, the head of U.S. Central Command, stressed as much in a recent interview with ABC News and the Wall Street Journal after a trip to Afghanistan where he assessed the Trump administration’s South Asia Strategy as sound, though tactical adjustments needed to be made. Overall, during his recent trip to Afghanistan, Votel expressed “cautious optimism” that the South Asia Strategy was working and was creating the conditions for peace talks between the Afghan government and the Taliban. That strategy eliminated timelines for the removal of American troops and made their presence conditions-based. It also called for regional pressure to steer the Afghan government and the Taliban toward peace talks. That progress was enhanced by the three-day ceasefire in June called by Afghan President Ashraf Ghani that surprisingly took hold throughout Afghanistan. That ceasefire and the indelible images of Taliban fighters and Afghan soldiers hugging has led to indications that Ghani will call for a second ceasefire later this month. However, it remains unclear if the Taliban actually will engage in peace talks with the Afghan government. For now, the Taliban has expressed more of a willingness to engage the United States. In recent weeks, Taliban officials have confirmed that Taliban representatives met with U.S. diplomats in Qatar to discuss the possibility of further peace talks. While this week’s attacks indicate the Taliban is capable of attacks that can inflict heavy casualties, the overall violence level in Afghanistan is lower than in recent years. 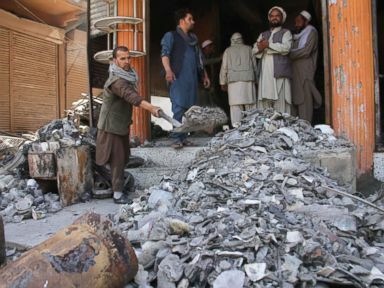 According to O’Donnell, the violence trends in Afghanistan right now remain 5 to 10 percent below historical averages, even accounting for the increase since the ceasefire and this week’s attacks. Even if there is momentum toward peace talks, it’s possible that some segments of the Taliban won’t be interested.